Piyyut is the art of Hebrew or Aramaic poetry composed either in place of or as adornments to Jewish statutory prayers. 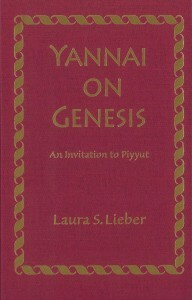 Laura S. Lieber uses the piyyutim of a single poet, Yannai (ca. sixth century C.E. 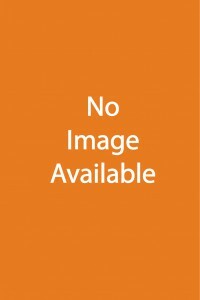 ), to introduce readers to this important but largely unfamiliar body of writings. 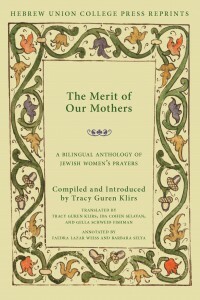 Her groundbreaking study is an invitation to those with interests in areas such as liturgical studies, rabbinic literature and targum studies, the early synagogue and its art, Byzantine Christian culture and society, and the history of biblical interpretation to engage with these beautiful and neglected texts and include them in larger intellectual conversations. Exile in Amsterdam is based on a rich, extensive, and previously untapped source for one of the most important Jewish communities in early modern Europe: the sermons of Saul Levi Morteira (ca. 1596-1660), leading rabbi of Amsterdam and a master of Jewish homiletical art. After years of painstaking study from microfilms and three trips to Budapest to consult the actual manuscripts, Marc Saperstein has written the first comprehensive analysis of the historical significance of these texts, some of which were heard by the young Spinoza, and offers annotated English translations of eight examples. 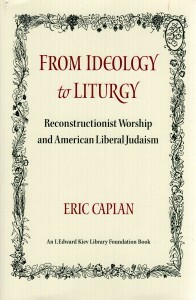 In this first systematic and comprehensive analysis of its official prayer materials, Eric Caplan examines Reconstructionist Judaism’s interpretation and adaptation of the traditional Jewish liturgy and creation of new prayer texts to reflect its changing ideology. Liturgical creativity has been a hallmark of Reconstructionism since Mordecai Kaplan (1881-1983) first set forth its philosophy in the 1930s. The volume offers an in-depth examination of the liturgical series Kol Haneshamah and the ideological considerations upon which it is based and provides relevant context from Kaplan’s life and thought as well as contemporary developments in Reconstructionism. A major influence on the development of rabbinic liturgical custom after the destruction of the Temple was the need to establish that this innovative worship of the heart was as acceptable to God as biblically prescribed sacrificial worship. Later Jewish communities and their leaders continually refined the details of the system they inherited to reflect their changing understandings of acceptable, meaningful, and constructive worship. Ruth Langer uses the tools of historical scholarship and anthropological study of ritual to analyze some of the dynamics that have shaped Jewish liturgical law and determined the broader outlines of the prayer life of the Jews. 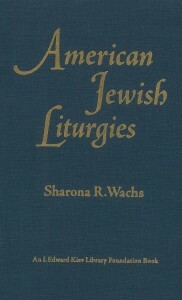 Wachs’ American Jewish Liturgies offers scholars, rabbis, and anyone interested in liturgical history a bibliography of Jewish liturgy published in the United States up to 1925. With 1,300 separate entries that catalogue prayerbooks, devotionals, memorials, children’s prayers, hymnals, and scores, it attempts to be as comprehensive as possible and represents the very first time such an extensive bibliography has been brought together on the topic. It is invaluable for the information it provides on the creation, evolution, and distribution of Jewish liturgy in the United States through 1925. Since the period in which the Jewish liturgy was standardized, there has hardly been a time when it was not somehow in a state of flux. Eric L. Friedland explores the countless ways that the Siddur, Mahzor, and Haggadah have been adjusted, amplified, or transformed so as to faithfully mirror modern Jews’ understanding of themselves, their place in society, and their sancta. 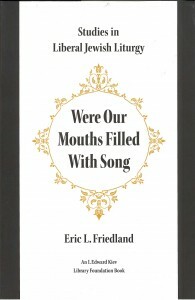 In the tradition of liturgologists such as Elbogen, Idelsohn, and Petuchowski, Friedland focuses on latter-day adaptations of the prayerbook, giving proper recognition to the recent concern for intellectual integrity, cultural congruity, group and individual self-redefinition, and honest speech in Jewish prayer. While they may not have been able to help constitute a minyan, and while many did not know Hebrew or Aramaic, women produced and used material for prayer at home. These moving supplications (tkhines) in the Yiddish original and English translation reflect the most personal spiritual concerns of premodern Ashkenazic women. They are of great appeal and value to those who wish to hear the voices of Jewish women in history, study Yiddish literature and culture, or create new expressions of spirituality. The traditional Jewish liturgy contains not only the standard prayers ordained in the Talmud and the ritual codes, but also poetic embellishments (piyyutim) of all kinds. These poems often present unconventional and idiosyncratic theological ideas on the same prayerbook page with conventional theology. 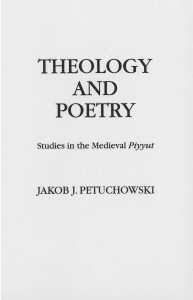 Jakob Petuchowski presents ten piyyutim in pointed Hebrew, with translation, commentary, and introduction to the theological theme of each poem. 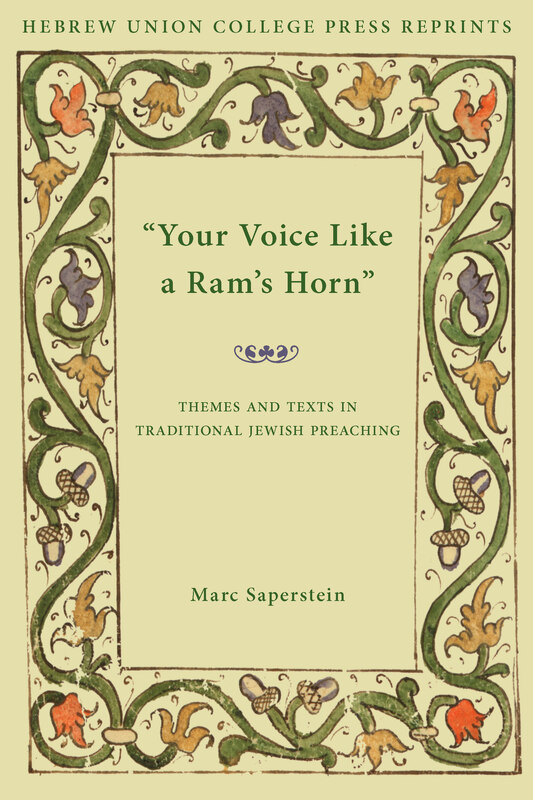 The volume is an indispensible introduction to medieval liturgical poetry for all students of Jewish thought and culture. The present volume consists of sermons and addresses selected from the literary remains of Dr. Kohler. Most were delivered from his own pulpit at Temple Beth-El in New York City, and a number of them as guest preacher at Adat Israel of Louisville, Kentucky, Wise Temple of Cincinnati, Rodef Shalom of Pittsburgh, and others. The Hebrew Union College addresses were delivered by Dr. Kohler in his capacity as president of that institution during opening and ordination exercises. His personal sermons and addresses are richly autobiographical. The memorial addresses and tributes contain valuable material on the history of modern Judaism. This series of five essays, published in 1921, offers insight into the tasks and difficulties confronting the rabbi in the roles of minister, teacher, and preacher. It also treats ethical problems that confront the rabbi, and offers an essay on the life of Isaac Mayer Wise. The collection aims to provide a guide for young rabbis, as well as sympathetic and helpful spirit of cooperation and understanding between pulpit and pew.